We believe in the creative expression God gives to each of us, and we love to share our creativity in all aspects of our church community. Music ministries range from our children singing songs in Sunday School and worship, to our Cherub Choir, Sunshine Kids, Girls Choir, Handbell Choir and our adult Chancel Choir. Each of these groups make a joyful noise in song. Our children and adults also share instrumental music in worship on a regular basis. For the past several years, we have also produced a wonderful Christmas celebration, where both children and youth combine drama, dance, and song to lead our congregation in worship during the Advent season. Adult Choir meets every Wednesday evening at 7:00 pm in the Choir Room. 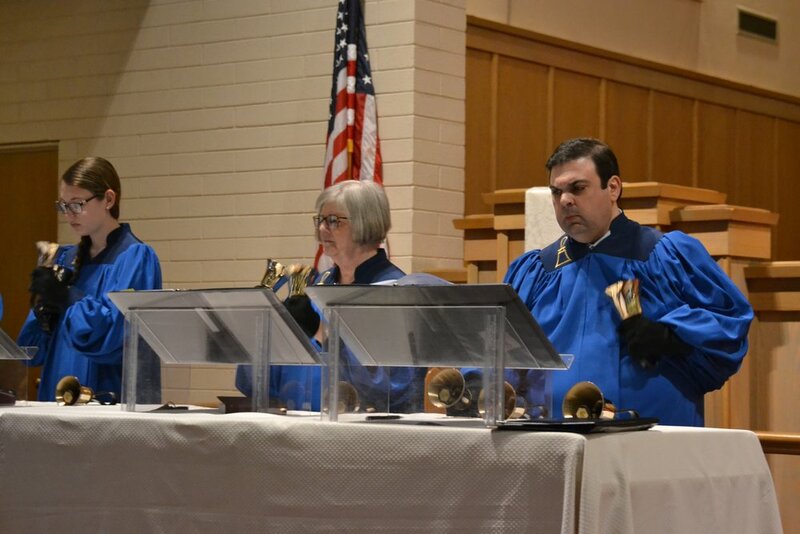 Handbell Choir meets every Tuesday evening at 5:00 pm in the Sanctuary.